You must share your investing results with the IRS. 2. Does Selling Your Shares of Stock Mess Up Your Taxes? Investing in the stock market can boost your income, but it can also boost your tax bill. Whether you have gains or losses, you must report them on your income tax return. 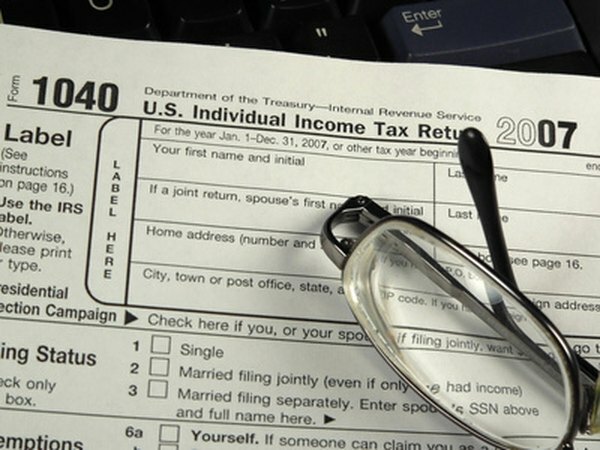 If your losses exceed your gains, you're limited to a $3,000 deduction -- $1,500 if married and filing separately -- but you can carry forward the excess into future years. The constant fluctuations of the stock market can result in your stocks going up and down on a daily basis. For tax purposes, you report only gains and losses that you realize when you sell stock, not the gains or losses that you experience before you sell. For example, if a stock you own increases in value by $2,000 over the year, but you don't sell, you don't report the gain on your income taxes. If you decide to sell the stock the following year, the entire gain is reported in that year, even though most of the increase in price occurred in a prior year. Your gain or loss is calculated by subtracting your cost to acquire the stock from the amount you received when selling the stock. Your costs to acquire the stock include any commissions or fees that you paid. Similarly, when you sell the stock, your amount realized is net of any commissions or fees. For example, if you purchase a stock for $350 and pay a $10 fee, then sell it for $400 and pay a $10 fee, you have a taxable $30 gain. To report your gains and losses, you must complete Form 8949 to list all of your transactions. You must divide your gains and losses into long-term gains and losses, which occur when you've held the stock for more than one year, and short-term gains and losses, which occur when you've held the stock for one year or less. The difference is significant: Short-term gains are taxed at ordinary income tax rates, while long-term gains are taxed at the lower capital gains rates. After completing Form 8949, copy the totals over to Schedule D. Lastly, your totals are reported on line 13 of Form 1040. If you have money invested in a qualified retirement plan, such as a 401(k) plan or individual retirement account, do not report your gains and losses from those on your tax return. Qualified retirement accounts are tax-sheltered accounts, which means that you do not pay taxes on any of the gains as long as the money remains in the account. For example, if you have a $5,000 gain from trading stocks in your 401(k) plan, you don't report that gain on your income tax return. You will have to report the eventual distributions from the account when you take the money out.